Have fun with these printable Shamrock stickers for a unique St. Patrick's Day design. The 4 St. Patrick's Day Shamrock sticker templates can be used to create lovely cards, bookmarks and a variety of fun decoration to display around the house for this festive Irish holiday. Sticker sheets, scissors and any other craft supplies you want to decorate. 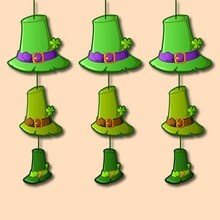 Print the 4 St. Patrick's Day Shamrock sticker templates on sticker paper. Use your scissors to cut out the designs. 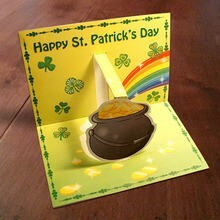 Use your creative imagination and make a beautiful Shamrock craft.